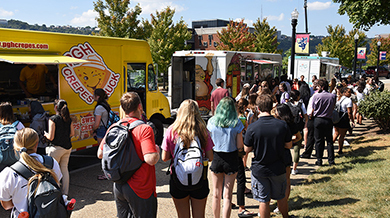 The Office of Greek Life will host another Food Truck Frenzy Thursday, April 25. The Spiritan Pedagogy series, co-sponsored by the Center for Catholic Faith and Culture and the Center for Teaching Excellence, will conclude the 2018-2019 academic year with a community-building reception for all faculty, staff and graduate students. The School of Law is sponsoring a two-day conference focused on artificial intelligence (AI) to help law school graduates understand the ways in which intelligent systems can streamline work and enhance their careers. 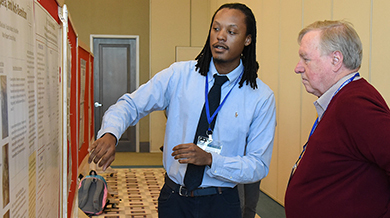 Nearly 200 Duquesne undergraduate students showcased their work in more than 130 projects at the 11th annual Undergraduate Research and Scholarship Symposium held April 3 in the Power Center Ballroom. 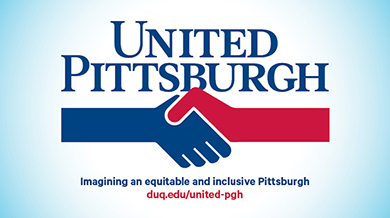 The Office of Human Resources and the Duquesne University Staff Advisory Council (DUSAC) have teamed up to co-sponsor the annual Take Our Daughters and Sons to Work Day. 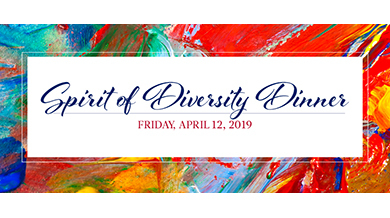 The Office of Diversity and Inclusion (ODI) will honor University students committed to academic excellence, diversity and inclusion at the fifth annual Spirit of Diversity Dinner and Scholarship Benefit Friday, April 12, in the Power Center Ballroom. Nearly 350 guests are expected to attend. 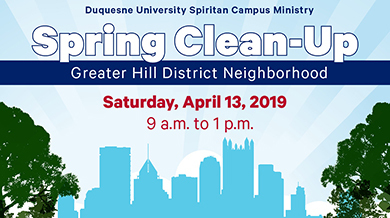 Every year, Duquesne faculty, staff and students support the tradition of helping others by participating in Spring Clean-Up, which also raises environmental awareness and strengthens the relationship between the University family and its neighbors. 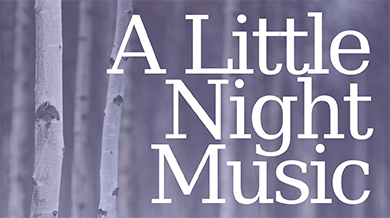 The Red Masquers’ upcoming stage production will feature a romantic musical showcasing music and lyrics by Tony award-winner Stephen Sondheim, including the well-known Send in the Clowns. Dr. Mary Ellen Glasgow, dean of Duquesne’s School of Nursing, will be the keynote speaker Monday, April 8, as part of the Center for Catholic Faith and Culture’s United Pittsburgh speaker series. 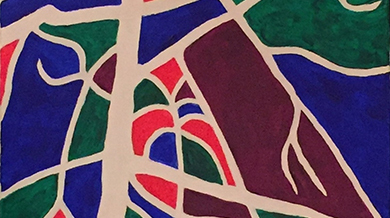 An interactive display of acrylic paintings by Humanities Librarian Ted Bergfelt is now on display in the Gumberg Library. Faculty and staff are invited to the upcoming Libermann Lenten Luncheon Wednesday, April 10, at noon in the Africa Room. Autism Speaks Duquesne, the chapter of the national student organization that raises awareness and funds for autism research, will be hosting its first Sensory Olympics from 7 to 10 p.m. on Thursday, April 11, in the Union Ballroom. The Center for Global Engagement is sponsoring another round of the 20 Dinners program from Monday, April 22, through Sunday, April 28. What has President Ken Gormley been up to? Funds totaling $64,123 were recently received by the School of Education, the City Music Center and the School of Nursing.